Wednesday/ upgrade the bitrate, or not? One can generate beautiful rainbow colors by reflecting sunlight off a CD’s silver surface. This CD in my collection has such awful scratches on, that some songs could not be read properly by my PC’s optical disk drive anymore. Man! WHAT did you do with it, to scratch it like this?, I wondered. I remembered another unresolved issue with my iTunes music collection: the bitrate of the .mp3 version of the songs I had originally transferred into iTunes from CD, was as low as 160 kbps. This was oh, some ten years ago. Nowadays, there is an ‘Apple Lossless’ option which will replicate the original CD in iTunes (bit rates of 900 kbps or more). The enormous storage capacity available on smartphones these days makes it possible to transfer and carry all of one’s CDs as-is in iTunes .. but is it worth it? The files would be up to 6 times larger than the original 160 kbps ones. So my strategy is to upgrade only my very favorite CDs, say up to 30 out of the 300, that I now have in iTunes. The Sony Walkman cassette player was a sensation when it came out in 1979, and I got one just a year or two later. It was a lot of money to spend at the time, but I loved it. I’m still doggedly maintaining my iTunes library of music, even though music purveyors like Apple and Amazon are trying hard to make me let go and subscribe to their online music. For about $10 a month, one can get access to a vast library of old and new music (50 million songs), as well as curated playlists from music buffs. *I left my vinyl collection behind in South Africa in 1995; gave it all to a friend .. but have replaced some of them with CDs, since. There are heavy metal, rock, pop, Afrikaans, K-pop, classical music and many more albums in my collection. 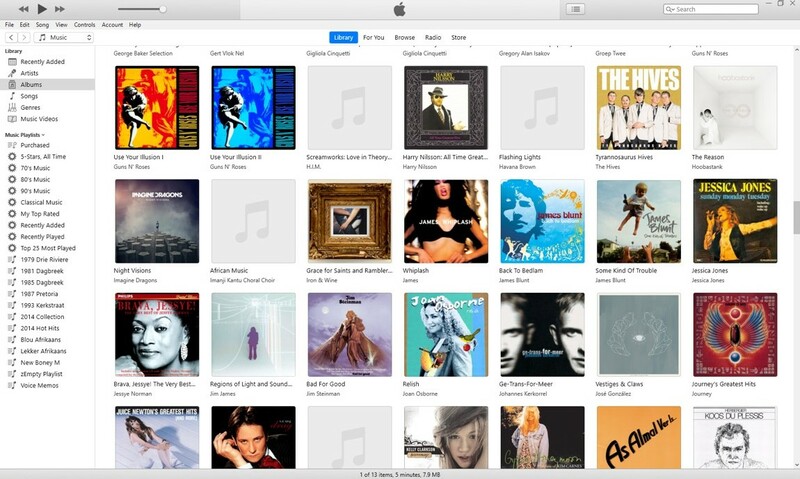 iTunes does not always pick up the artwork automatically when one imports it, but there is a way to upload artwork into iTunes. I found that ‘Jessica Jones’ picture on the far right online, and popped it in. The search for filling out the other gray boxes is ongoing. 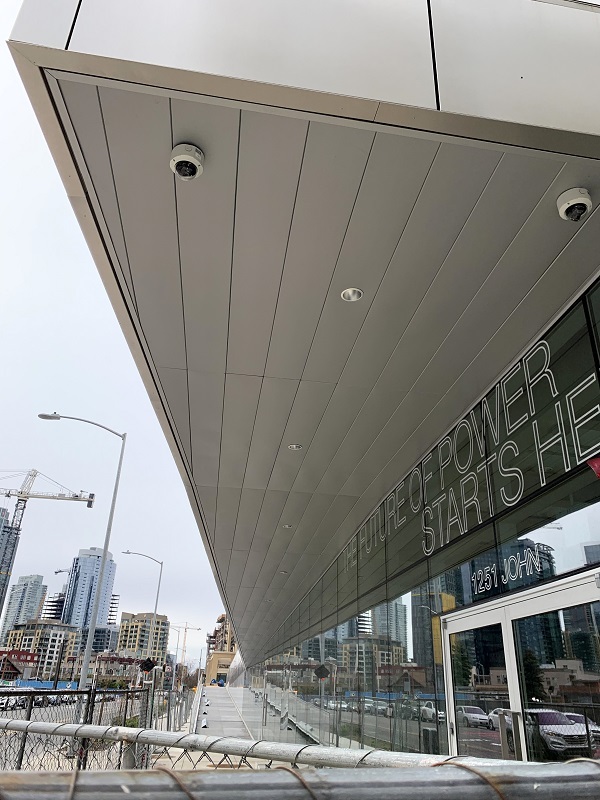 I went down to check on the construction of Seattle’s sleek new $209 million substation in South Lake Union today. 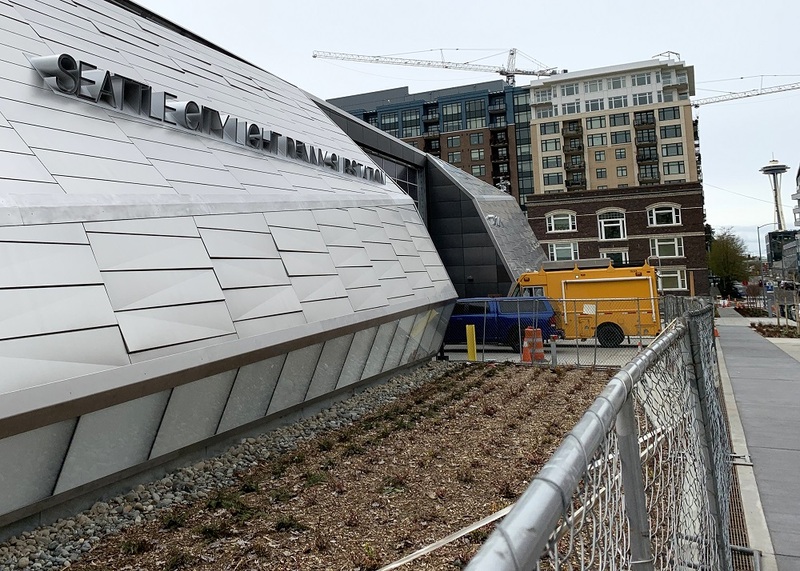 Its construction has been three years in the making – and its planning much longer than that. Seattle City Light purchased the site from the Greyhound bus company in October 2008. The work inside the substation is basically done, and the equipment has been energized. The walkways on its perimeter and the little public park are not yet open, though. 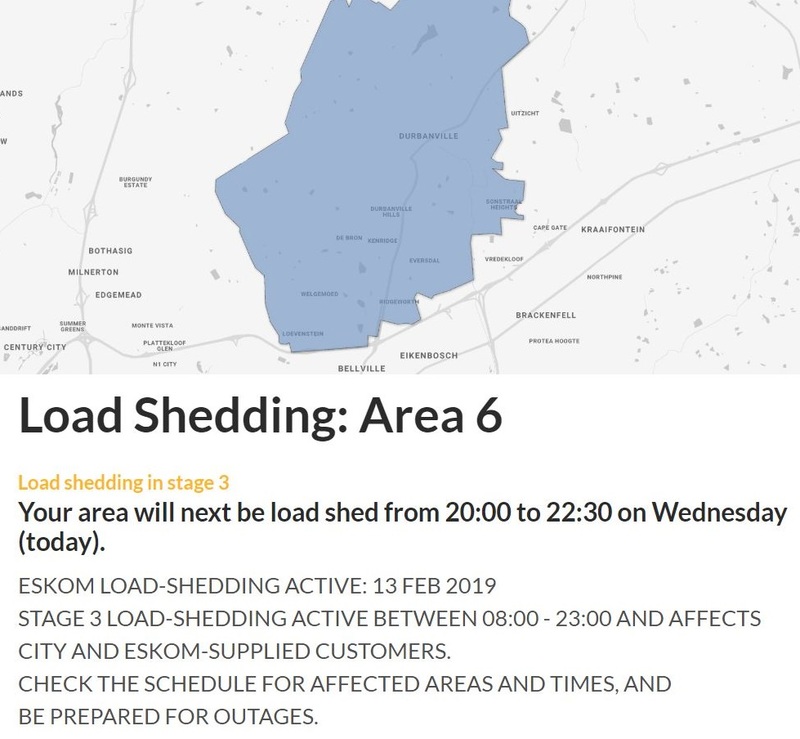 There is also ongoing work done for building out an underground distribution network, scheduled to be completed in 2020. Here’s a diagram that shows the incoming transmission lines (green), as well as the power distribution lines (lime green and orange). As substations go, this one is a decent size in terms of capacity, but not as big as a national grid substation. For now its capacity is 50 MVA (Megavolt-Ampere), but this could be increased up to 405 MVA to meet future power demands. The gas-insulated switchgear allowed for a smaller footprint for the substation. Here’s the ground view from John St, looking toward Denny Way. I believe there is still some artwork that will be installed in the little public park: a 110 ft tall transmission tower-morphed-into-a-tree! ‘Seattle City Light Denny Substation’ says the lettering. This is looking west along John St. Space Needle on the right edge of the picture. The two trucks are parked in front of garage doors that allow maintenance vehicles to go into the substation. And this will be the entrance to the information kiosk on Denny Way. 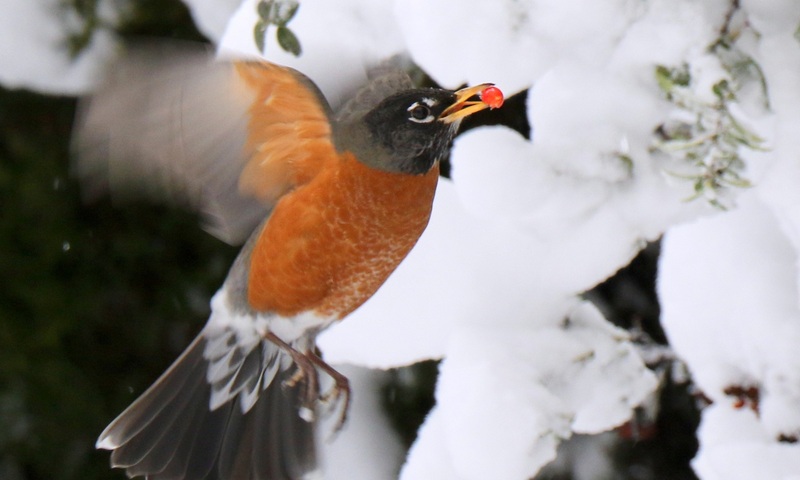 Squirrels can wreak havoc on power lines, and frequently do so. A squirrel was responsible for an outage on the Nasdaq stock exchange in New York in 1987, in 1994 and again in 2014. [Illustration by R. Kikuo Johnson, from a 2013 article in the New York Times]. I was sitting at my desk this morning, when I heard a very loud pop outside my house – BOOF!! Wow, I thought – maybe a pole-mounted transformer had exploded. But no, my neighbor just saw a big flash on the power line, and we found a dead squirrel on the ground right there, with its fur scorched. 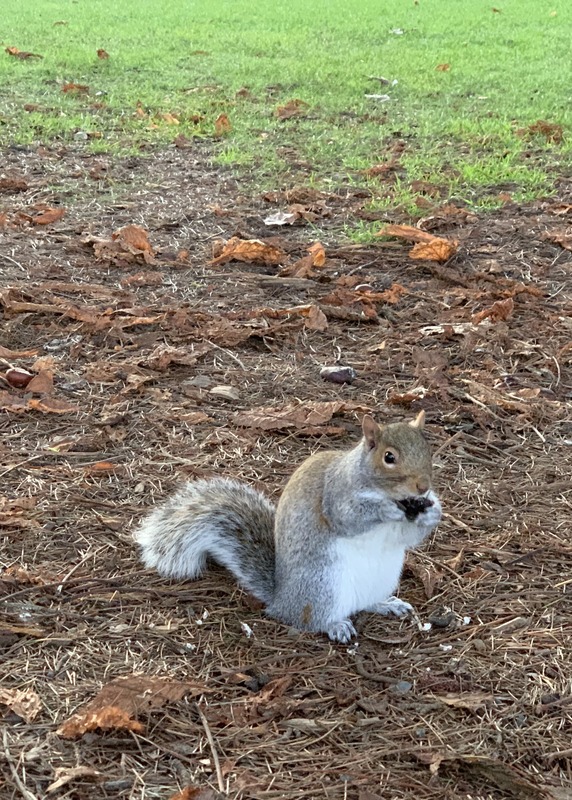 Squirrels that scamper onto utility poles and power lines, sometimes touch an energized component (the transformer) and a grounded piece of equipment simultaneously, thereby completing the circuit. 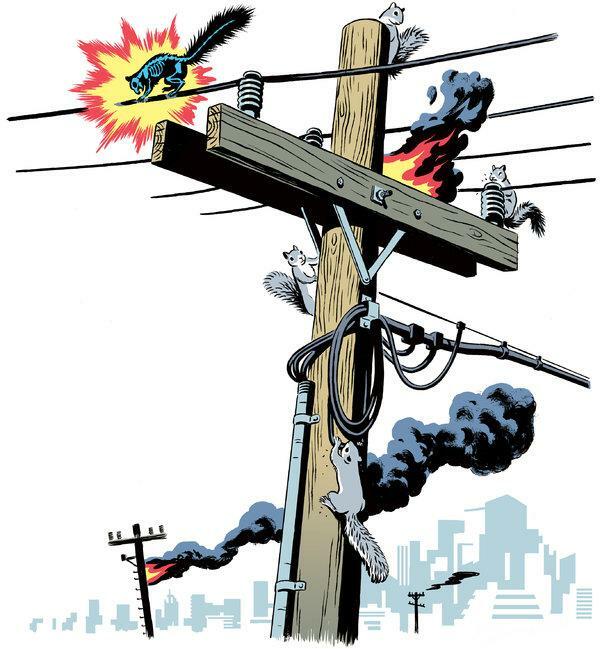 This does not end well for the poor squirrel – but the short-circuit does not necessarily cause an outage. As soon as the dead squirrel drops to the ground, the interference is eliminated, and the regular flow of electricity should resume. It’s time for a new lock screen on my iPhone, I decided. Open wide for this hippopotamus! This morning, I took the Yurikamome line’s train to the new Toyosu fish market from Yurakucho Station (not much to see there), and then went on to Shimbashi Station. The line offers plenty of great views of the waterfront and of Tokyo Bay. The Yurikamome line was completed in 1995, and is Tokyo’s first fully automated transit system – controlled entirely by computers, with no drivers on board. 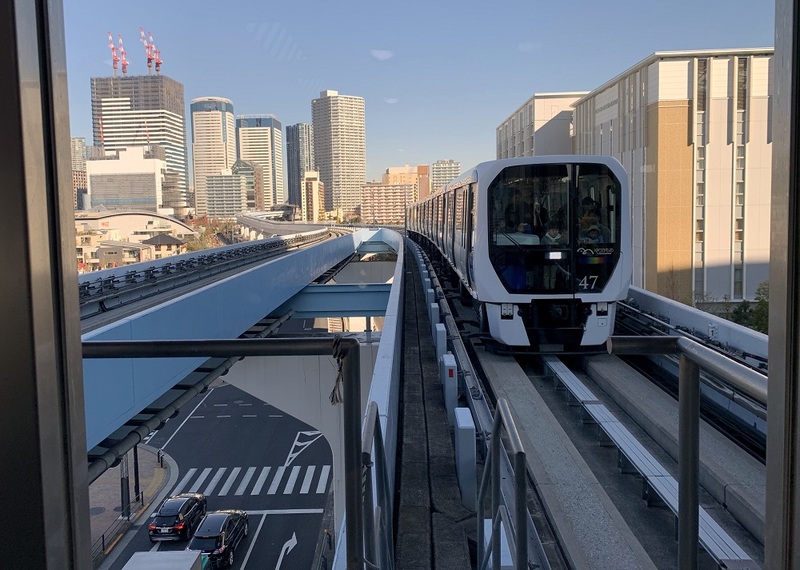 It looks like a monorail, but it is not: the trains run with rubber-tired wheels on an elevated concrete track guided by the side walls. I had just stepped off the train at the Shijo-mae station close to the Toyosu fish market, and waited for the next one to arrive (to take a picture, of course). Note that there is no rail or rails on the track. The train runs on rubber wheels, controlled by computer. 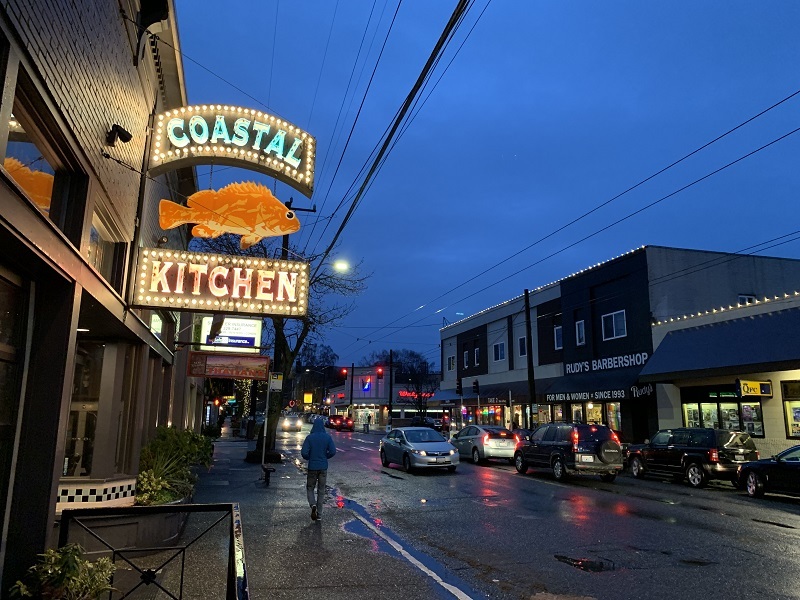 The bidding for blue-fin tuna happens early (5 am to 6 am) at the market, so by late morning there was no action to be seen through the double-pane windows for visitors. 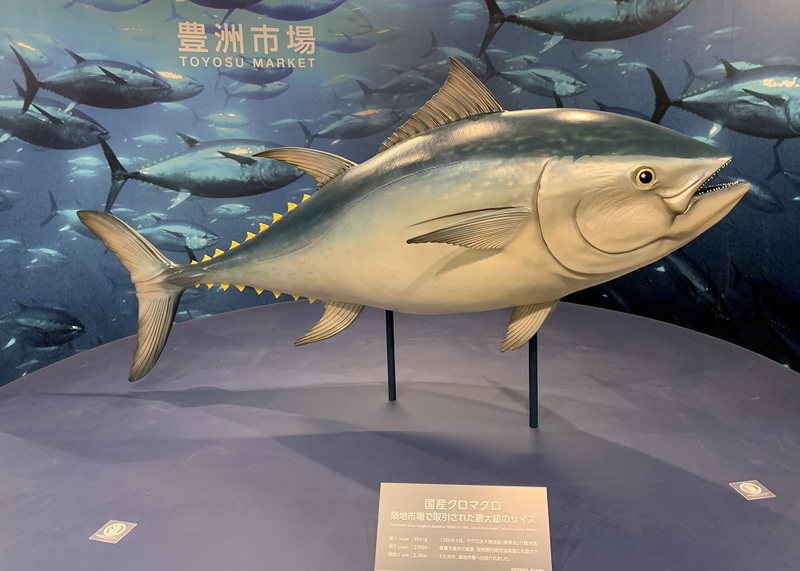 This is a model of the largest tuna recorded (at the old Tsukiji fish market), 496 kg/ 1,094 lbs, in 1986. It just so happened that early today, a Japanese sushi tycoon paid a whopping US$ 3.1 million for a giant tuna at this market – by far the most ever. Let’s also just note that blue-fin tuna is an endangered species due to overfishing. Oy. 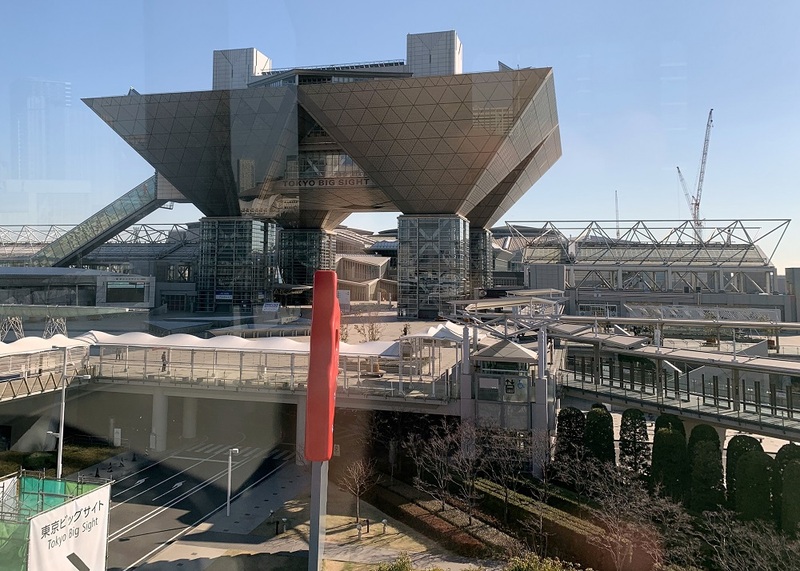 The upside down pyramids of Tokyo Big Sight, officially known as Tokyo International Exhibition Center. That’s a giant wood saw in the foreground. 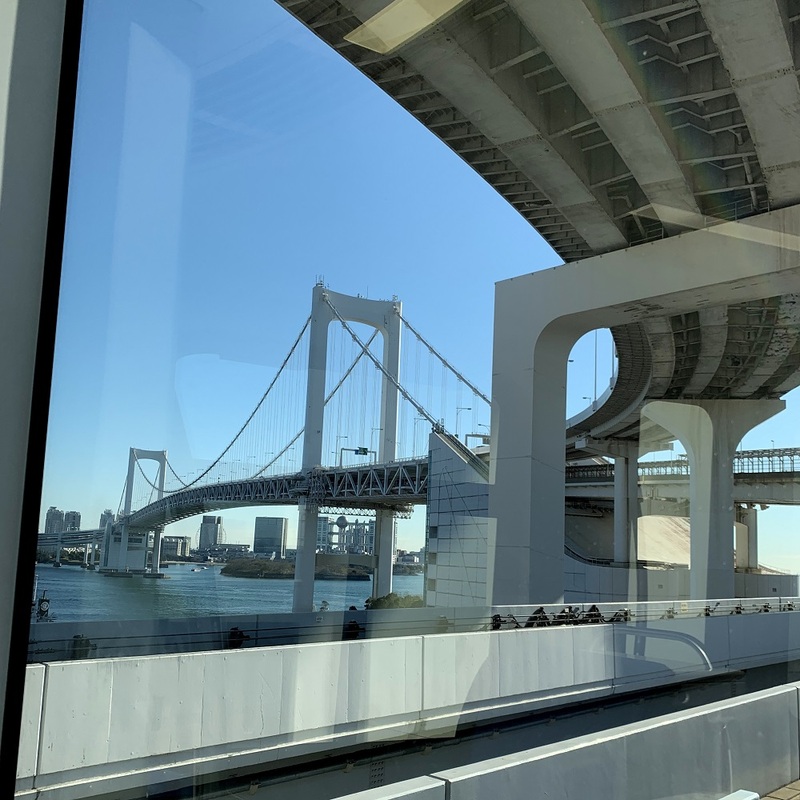 The Yurikamome line runs under the Rainbow Bridge, a suspension bridge crossing northern Tokyo Bay. The railway line is encased in fencing, seen in the middle on the right of the picture. 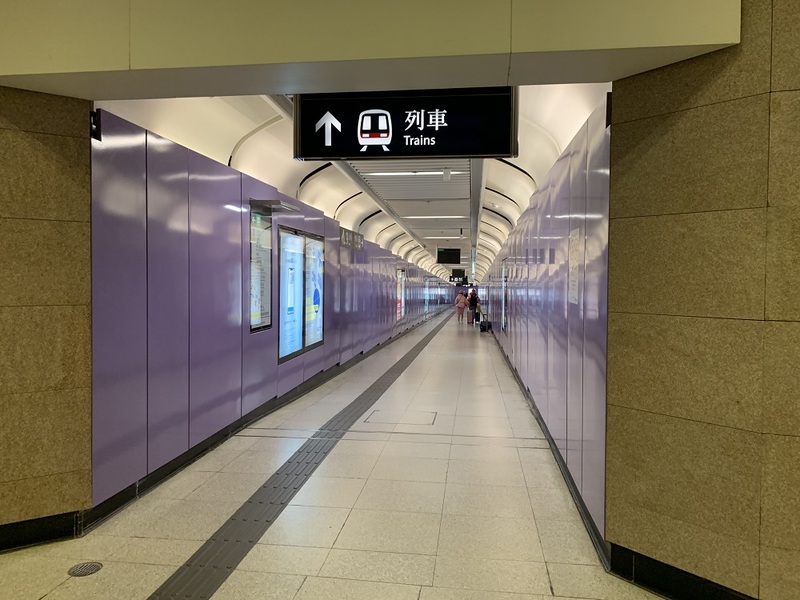 I have been to Hong Kong many times, and there is always a new construction project, or an extension of the subway rail network to check out. 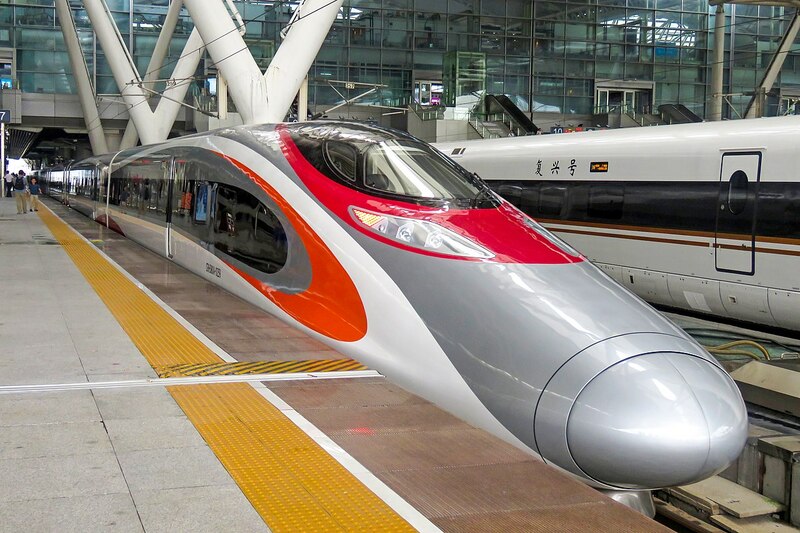 The new high-speed rail link between Hong Kong and Guangzhou in mainland China opened in Sept 2018, after many years of delays. Unfortunately my American passport is not much help to get me into the new train and across the border! Aargh. I would need a confirmed itinerary/ formal invite for a visa, which takes FOUR business days. I will be gone by then – and it’s too much effort for a jolly ride, anyway. 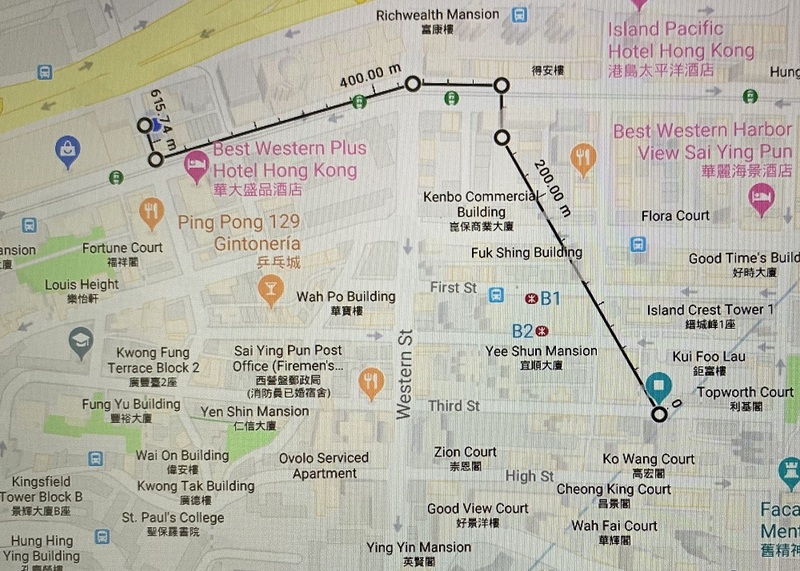 Slide 1 of 4: This is the 615 m/ 0.38 mi walk from the Marriott top left, to the new-ish Sai Ying Pun station (opened in 2015). 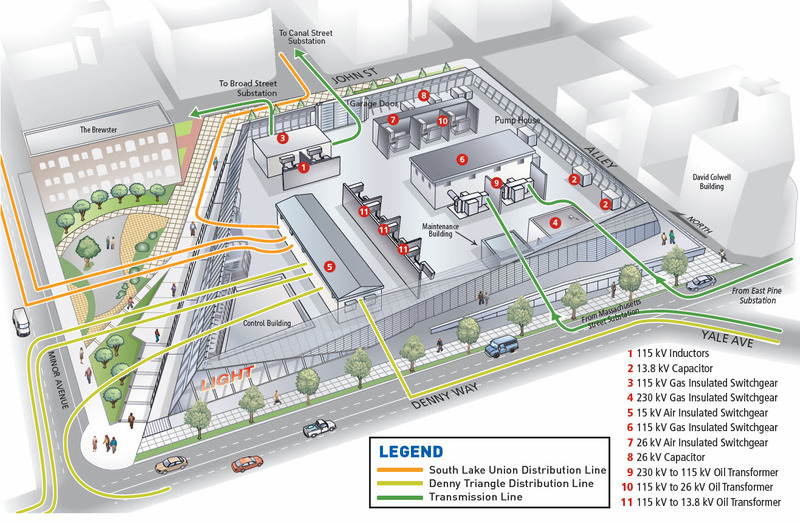 The 200 m/ 0.13 mi to the green bubble where the train stops, is an underground pedestrian tunnel. Yes, it’s a little walk to get there, but once there, there are 93 destination stations on 11 lines to choose from .. for only for a few dollars! 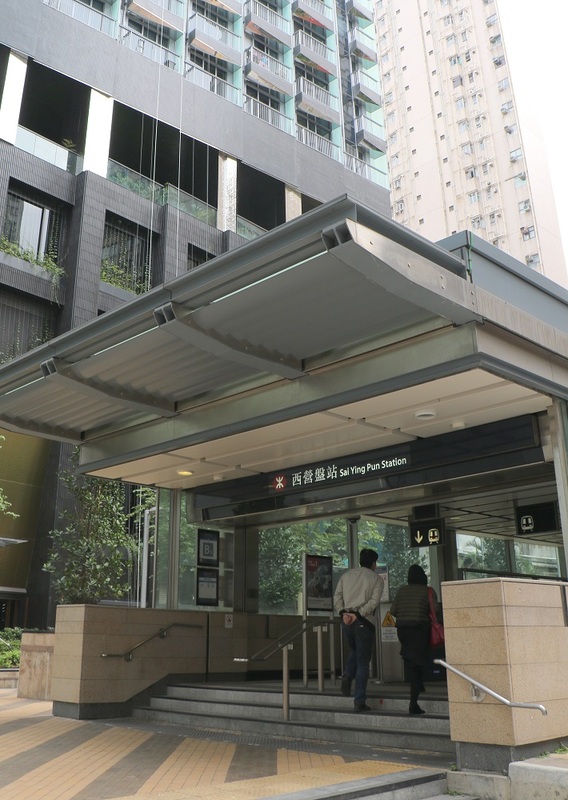 Slide 2 of 4: The entrance & exit B3 to Sai Ying Pun station. There are several others scattered around the station. The apartment tower was built along with the station entrance. Slide 3 of 4. (Successfully took a picture without dropping my new phone into the abyss). 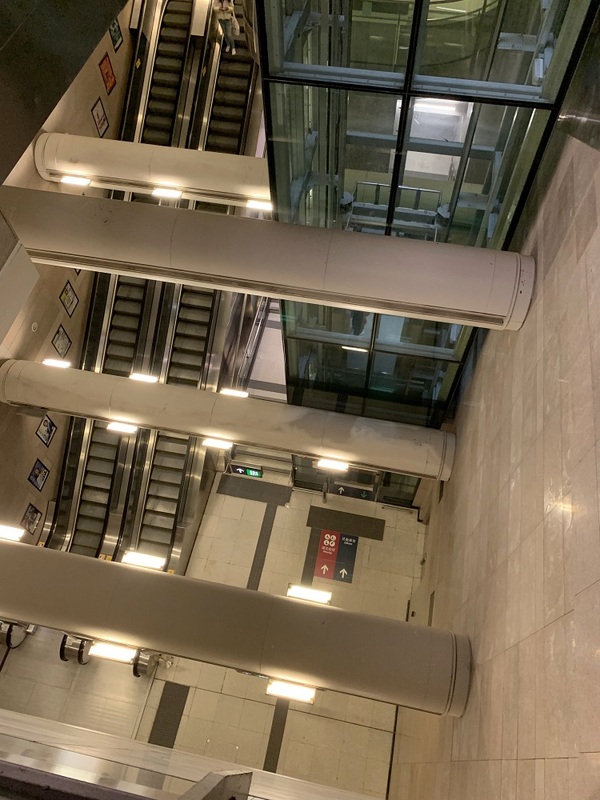 It takes three escalators (or the elevator) to get to the bottom of the pedestrian tunnel that goes to the train station. There is also a spiral staircase winding around the escalators: a means to get into or out of the station during a local power failure. Slide 4 of 4. The pedestrian tunnel that goes to the train station. 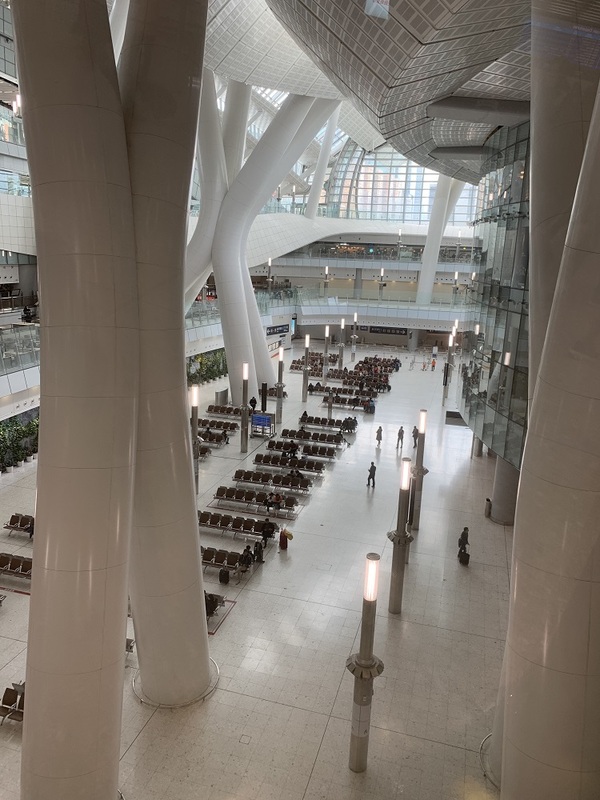 Here is the cavernous inside of the departure lounge at the brand new Hong Kong West Kowloon station, the terminus of the Hong Kong section of the Guangzhou–Shenzhen–Hong Kong Express Rail Link. Those pillars are just enormous, and the roof with its skylights is at least 6 storeys up. I did not have access to the platform to check out the train, but here is a photo from Wikipedia. This is train G6581, getting ready to leave Guangzhou South, bound for Hong Kong West Kowloon, on the first day of running on the Hong Kong section in September. These trains are built in China. 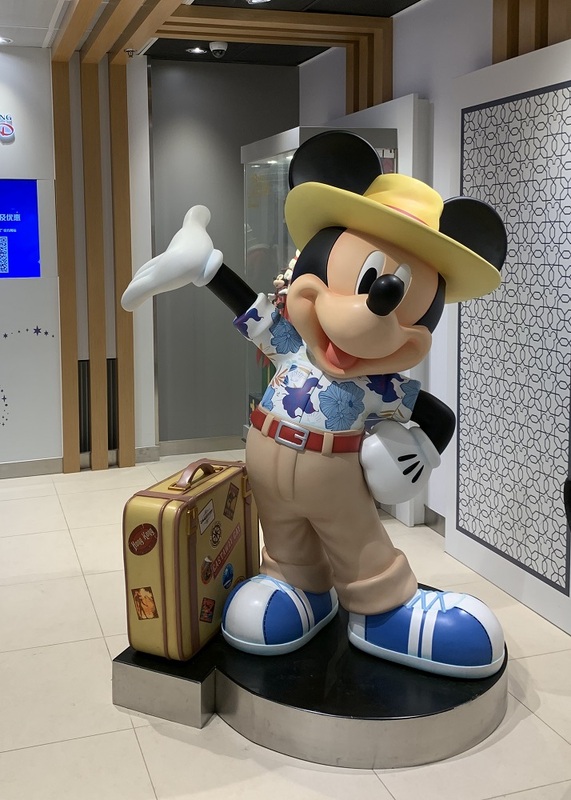 Mickey Mouse in the arrivals hall of the Hong Kong West Kowloon station, beckoning to travelers to visit Hong Kong Disneyland. I think he looks very cute, and is doing a great job. Hey! 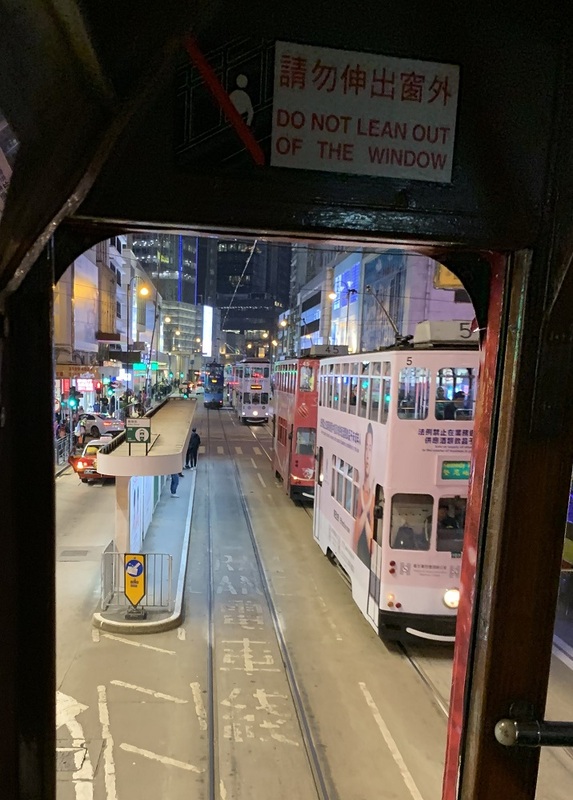 And above ground, the 110-year old tram system on Hong Kong Island is still going strong. Fares are now HKD 2.60 (33 cents US), up from HKD 2.00 (26 cents) ten years ago. Got to pay the bills, right? This was on New Years Eve, with the trams on a modified schedule. All these were heading out in quick succession to pick up people that wanted to travel to the city center. 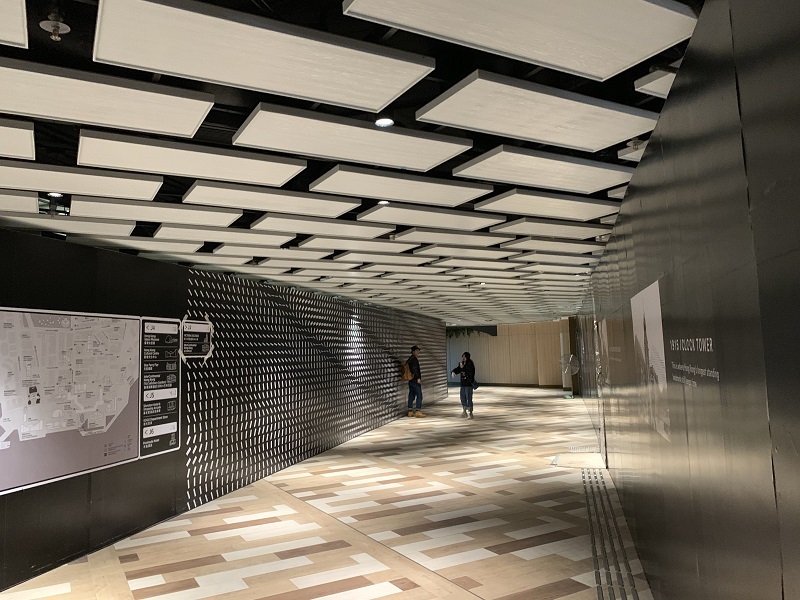 This pedestrian subway tunnel under Salisbury Road by Victoria harbor was nicely remodeled as well. Pressing the camera shutter makes for instant abstract art! The rain is back after a dry week, and we did not see the sun all day. It’s not all bad, though: the cloud cover and rain keep the day temperatures well above freezing. Today it was 46°F (8°C) here in the city. Here’s 15th Ave at 4.30pm today – the sun had set at 4.18 pm already. My iPhone Xs should do a lot better than my old 6s in low light. The Xs has a camera sensor (made by Sony, by the way) that is double the size of the 6s, and that has larger pixels as well. 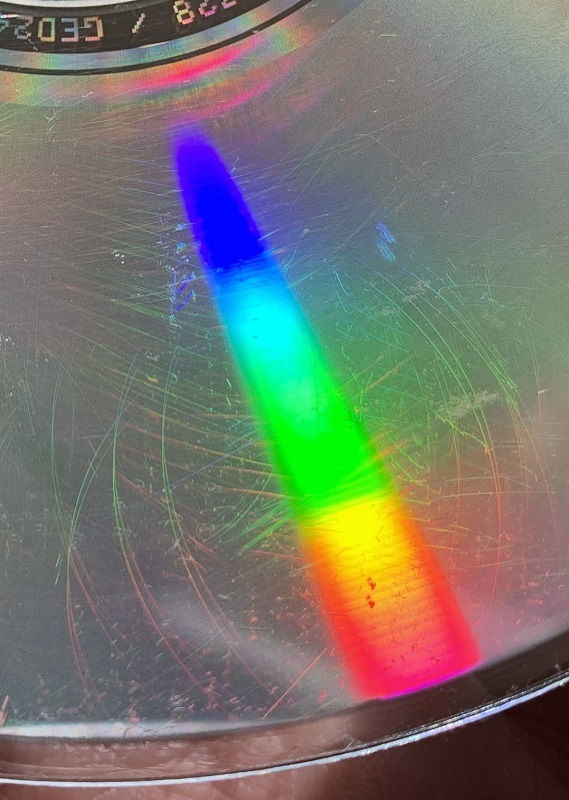 Larger pixels catch more light photons per pixel for a sharper, truer picture. I snapped a picture of the trumpeting African elephant in my wild animal collection for my lock screen, for now. I think I have my new phone set up, finally. I store a lot of stuff on the phone, not in the cloud. (I might be in the cloud/s, or on another continent, wanting to get to my data). 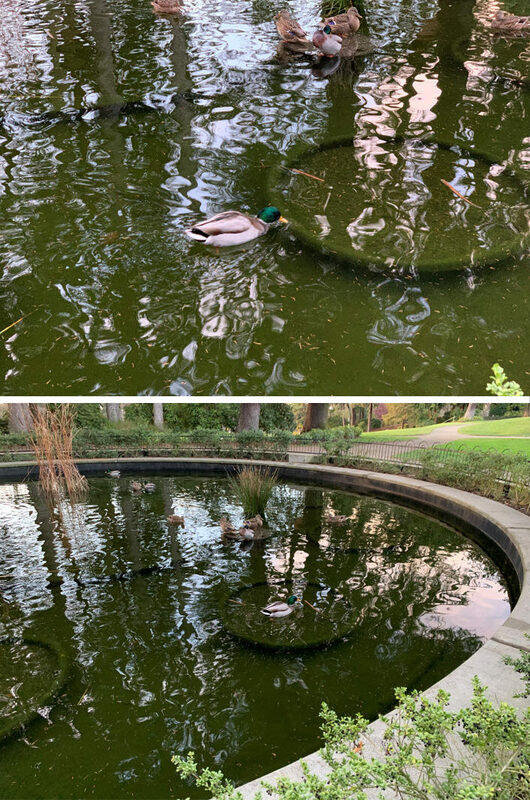 So I transferred some 12 Gb of music from iTunes on my desktop computer, a selection of favorite photo folders (animals and friends & family photos), and updated my offline Google maps. I also fired up all my commonly used apps one by one. For some, I had to enter my username again, and dig up the password (from my Excel cheat sheet), but now I think I have most of the passwords saved on the iCloud keychain. 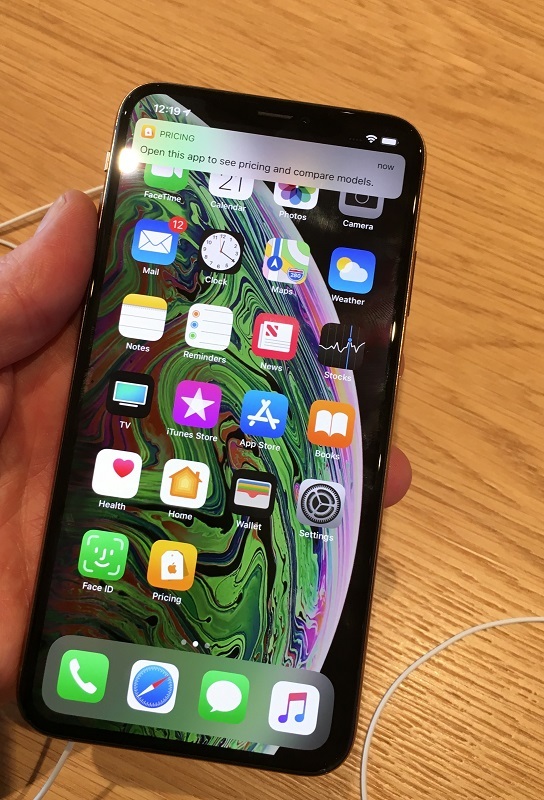 The Face ID facial recognition system on the phone is impressive, but one has to wonder if it is as secure as Touch ID (fingerprint). My other big gripe with Apple is the removal of the headphone jack, something that really made me hesitate to get the new phone. 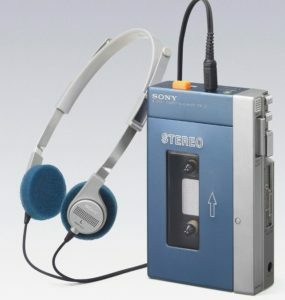 (There is a headphone jack connector available .. but in time I might spring for a new pair of bluetooth noise-canceling Bose headphones. I just refuse to wear Apple’s wireless Airpods, point blank. I think they look silly, uber-geeky, cheeky. And I will be sure to lose them in no time at all). I see I will have to get a Faraday pouch for my Toyota Camry’s key fob. (A pouch with radio signal shielding in the lining, so that it forms a barrier for emitting or receiving radio signals). There has been reports in Seattle of car thieves using signal amplifier kits to steal cars that use key fobs. Reports of these shenanigans by thieves are also on YouTube, going as far back as 2013. It makes me wonder if the fancy 2019 models I see in the car commercials on TV, are any less vulnerable. And what about driverless cars? They will be no good if they can be hacked into. Here’s how the signal-grabbing-and-amplify kit is used to steal cars. Thief A picks up the signal through the front door. The signal is relayed and captured on the device Thief B has. 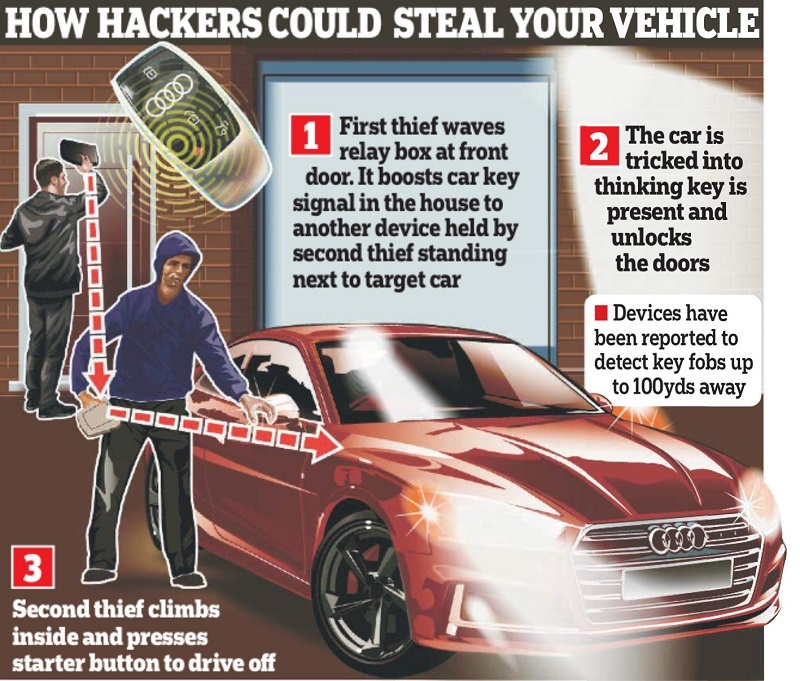 Thief B opens the car, and his device allows him to start the car, and to drive away (presumably after Thief A had hopped in as well). Amazon says it will eventually employ 25,000 workers at each of its two new locations, and the impact on the surrounding areas might be big. 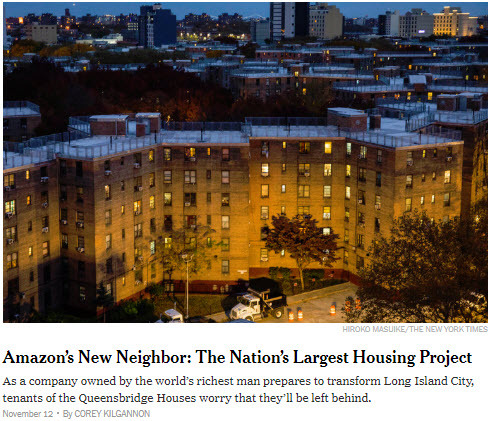 (Raise rents and property prices & add to traffic congestion). [Picture from New York Times]. Word had leaked out by Monday night (before an official announcement from Amazon), that the two sites of the much anticipated Amazon HQ2 (second headquarters) will be Long Island City (in New York City) and Crystal City (in northern Virginia, just south of Washington DC downtown). I think – I’m not sure – that it’s good news for Seattle that HQ2 will be split in two. 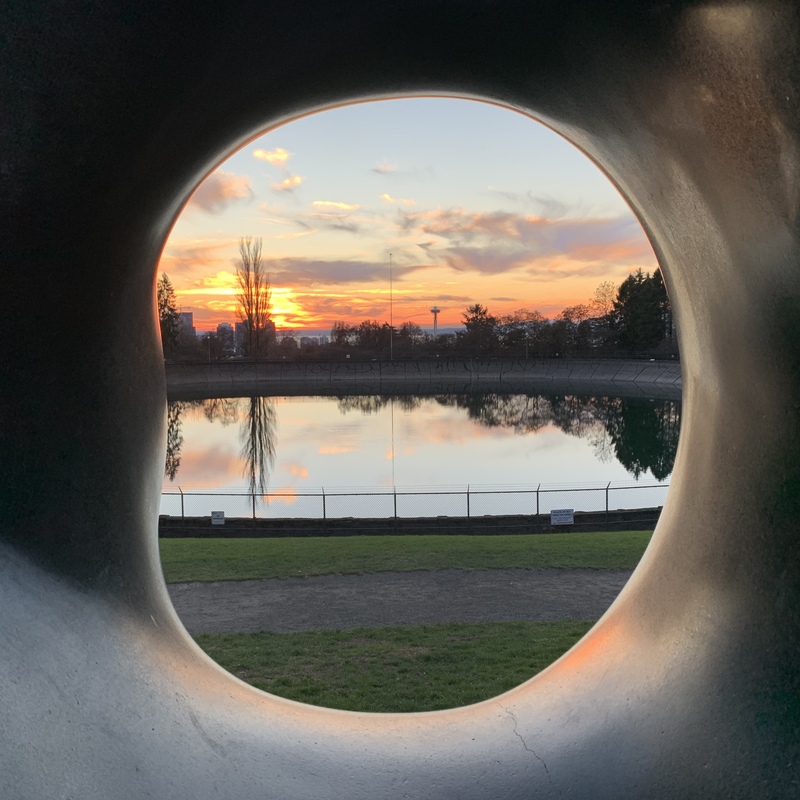 Seattleites were fretting that HQ2 might eventually become bigger than Seattle, and this seems to make that less of a possibility. 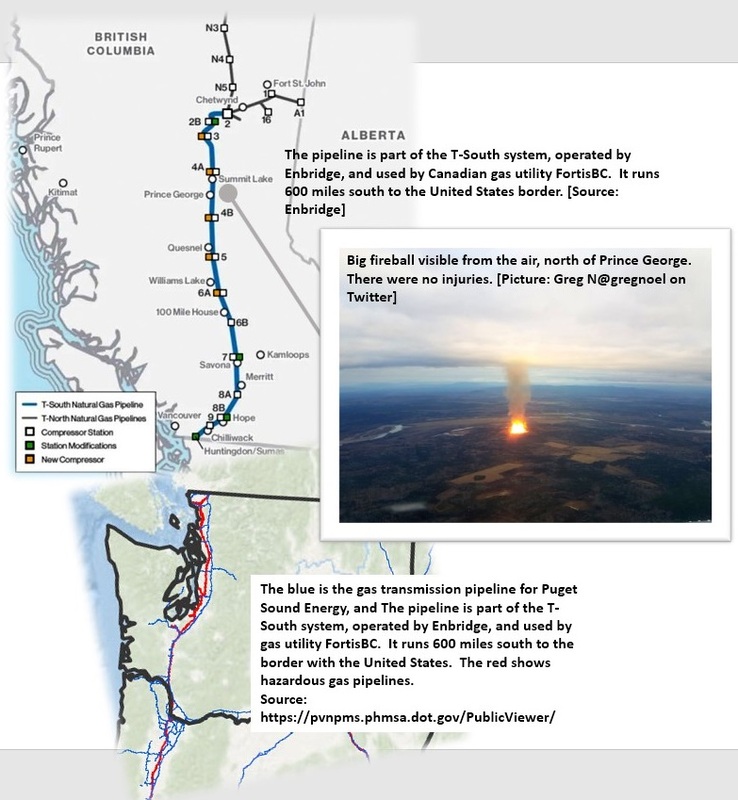 There was a big gas transmission pipeline explosion in Prince George, BC, Canada, on Tuesday. Even though it is 500 miles away, it is impacting us here in Seattle as well, since we get some of our natural gas from Canada. Our local gas utility company is requesting that everyone to turn down their thermostats, and limit the use of hot water and electricity for a day or two. 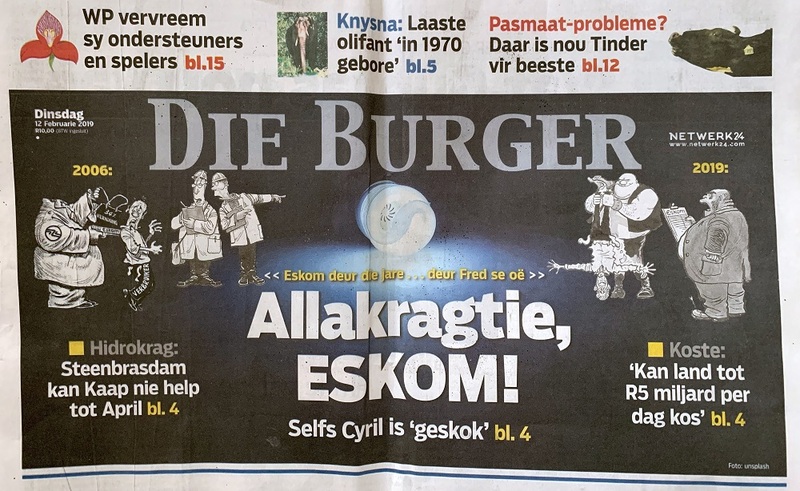 (Natural gas is used for some electricity generation). Here’s the results of a few online searches I did .. these gas transmission pipelines are typically 36 in (0.92 m) in diameter, and pressurized to 50 times atmospheric pressure. 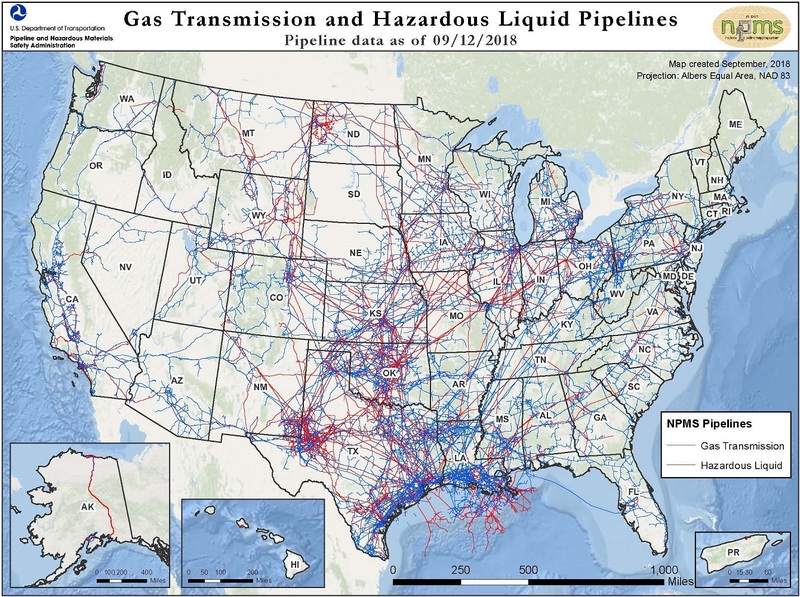 Interesting map of gas transmission pipelines in the United States. Check out the Gulf of Mexico coastline in Texas & Louisiana – whoah. That’s where all the refineries are, that produce natural gas and other products from crude oil. 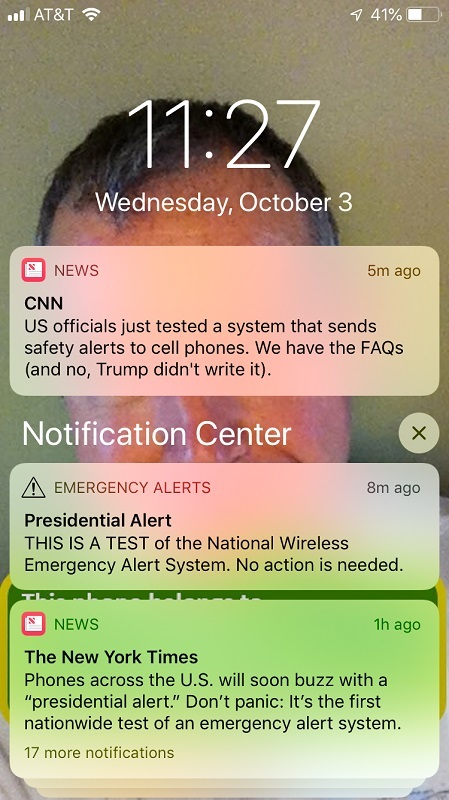 ‘No, Trump didn’t write it’, soothed CNN’s notification about the Presidential Alert. This ability was actually requested by Congress in 2006, and has been many years in the making. 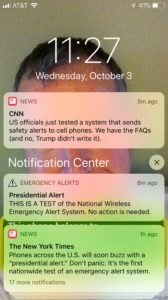 Everyone in the United States with a smartphone got a ‘Presidential Alert’ this morning – a test by the Federal Emergency Management Agency (FEMA). Man! Does that mean Trump can spam everyone with a stupid message from his phone? Mercifully, not. These messages are generated & sent from a special FEMA notebook computer, and by law, must be for true emergencies only. One shudders to think what significant national crises would justify every American to be alerted. I can think of a few. Nuclear war (‘Hey everyone: Kim Jong-un & I are no longer in love, so just so you know, I sent him some ICBMs’). A meteor hit from outer space. A massive electromagnetic pulse from a sun flare (that may very well wipe out FEMA’s ability to send the alert altogether). Checking out the newest iPhone Xs in the store. The phone is about as wide, and a half-inch longer, than my iPhone 6s, which is acceptable. The enormous Xs Max is too big for me. I finally went down to University Village mall to go check out Apple’s new store (and new iPhones*). There used to be a perfectly fine Apple store inside the mall, but I guess it was just not cool enough, and so they built a new stand-alone store, just steps away from where the old one was. *I should probably upgrade my 2015 iPhone 6s at some point soon! The new camera lenses on the iPhone Xs, and the bezel-to-bezel OLED screen would be very welcome. 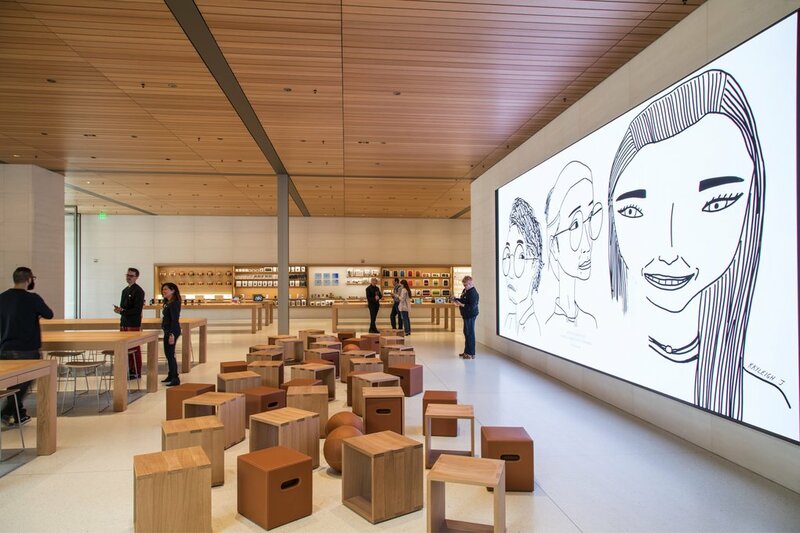 The style of Apple’s new store in University Village is minimalist with large glass panels and 14-ft high ceilings inside. (I took the picture in panorama mode; the roof is flat with a straight edge). Vice President & Trump Pleaser Mike Pence talked about Trump’s proposed Space Force today. Trump wants the new proposed branch of the military (the 6th, after Army, Navy, Marine Corps, Air Force, Coast Guard) in operation by 2020. Um. It’s a moon shot alright. 1. The new Space Force would have to be authorized by Congress. 2. 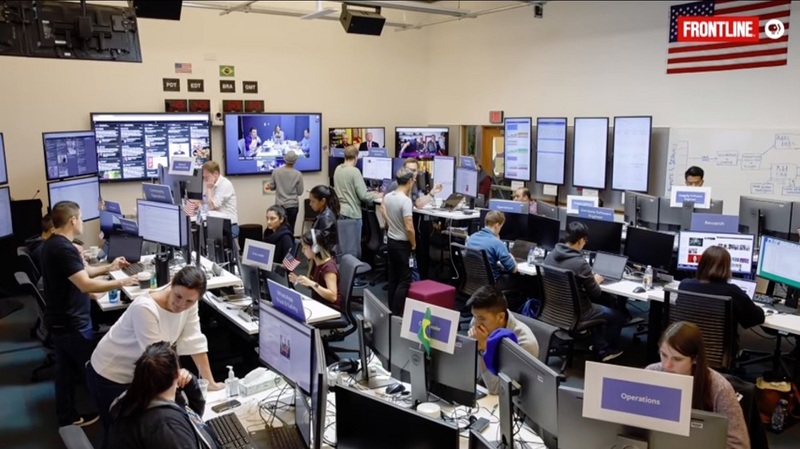 How about a Cyber Force first, to shore up our cybersecurity? 3. Where will the money come from? The United States is 20 big Apples (trillions) in debt, and will now add another every year (Trump tax cuts). 4. Impeachment proceedings may very well start in 2019. 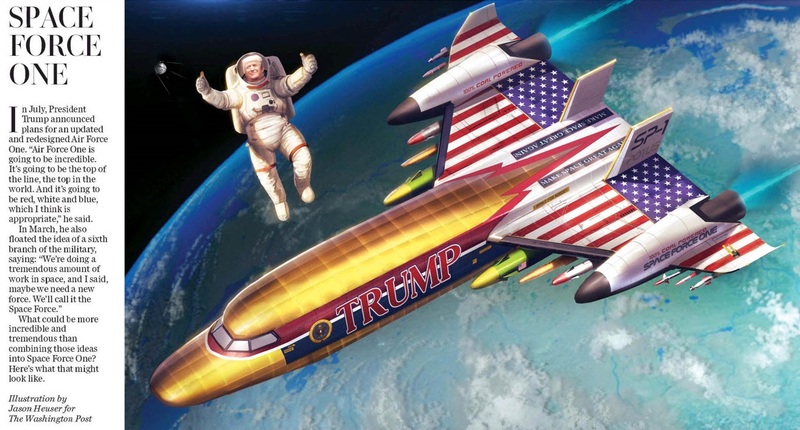 The Washington Post’s concept of a cheesy new gold Space Force One for Trump (note the ‘100% coal powered’, and ‘Make Space Great Again’ lettering). 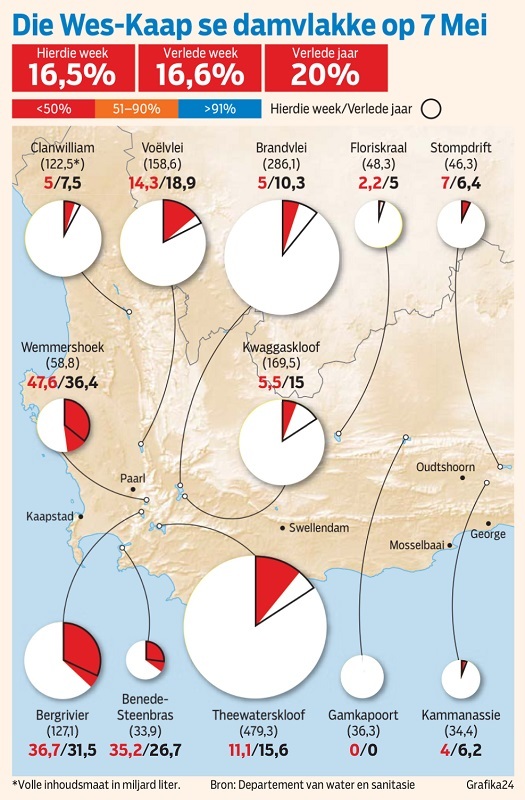 Residents of Cape Town recorded a record low water usage of 505 million litres (133 million US gals) for the city per day for last week. Still, the target is 450 million litres per day (50 litres/ 13 US gallons per person per day). Day Zero (no water for faucets) continues to be pushed out, and the winter rainy season has started – but it is still uncertain how much rain it will bring. Here’s a sign I saw yesterday for a new apartment building here in Seattle, called Stack House. 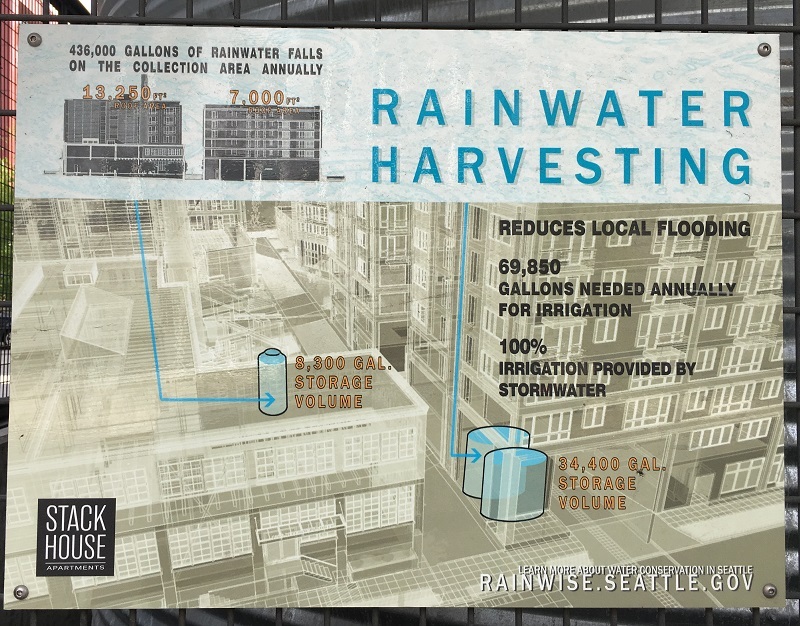 I think these big rainwater tanks should become part of the building code for big buildings – and hey, for houses, as well. Check out this interview that Mathias Döpfner had with Jeff Bezos in Berlin. They cover a lot of ground, and towards the end (skip ahead to 38:00), Jeff reveals why it is so important that humans (eventually) colonize other planets. Picture tweeted on Sunday by Bezos, after another successful New Shepard reusable launch system. 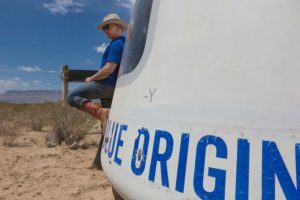 It uses a vertical-takeoff, vertical-landing (VTVL), suborbital crewed rocket that is being developed by Blue Origin as a commercial system for suborbital space tourism. In a nutshell: as the animals that we are, our bodies burn energy at a rate of a 100W (of which 60W is for our brains). So: we need 100 W just to be alive. But a modern, civilized human – living in a climate-controlled house, and traveling, and working – easily burns 10 times that 100W, in terms of his or her energy usage. On Earth, the number of humans will keep increasing, as will their energy needs, as civilization progresses. We have become more efficient at harnessing resources from Earth and our sun for energy, but it will not be enough. We have to find extraterrestrial resources to harness, and to generate energy from, to ensure that humans can survive another 1,000 years and more. 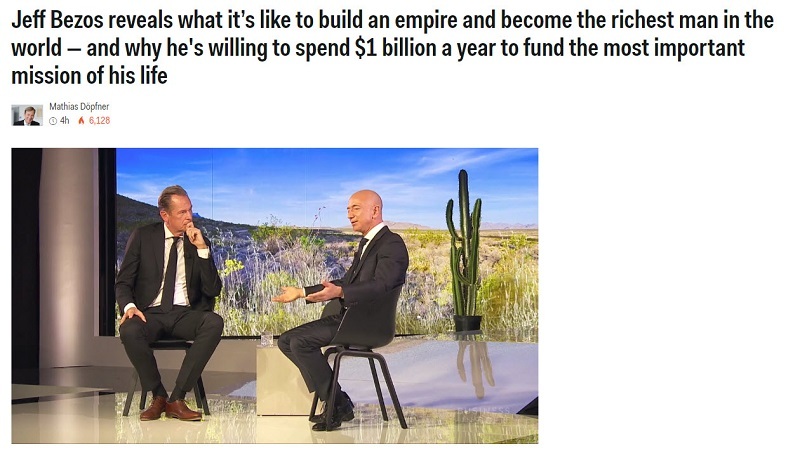 Still from businessinsider.com, from the interview that Mathias Döpfner had with Jeff Bezos in Berlin.